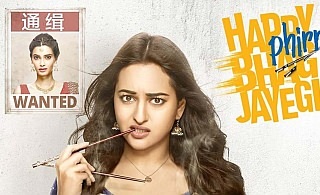 Harpreet Kaur aka Happy (Sonakshi Sinha) is an aspiring Horticulture professor and leaves for China to do the job. Facing some issues at home, her father is unaware about her location. In China, a set of bad guys are waiting for another Happy (Diana Penty) which is also about to land with her ‘singer’ husband Guddu (Ali Fazal). Both the Happy(s) pick up the wrong driver & their fate gets turned.